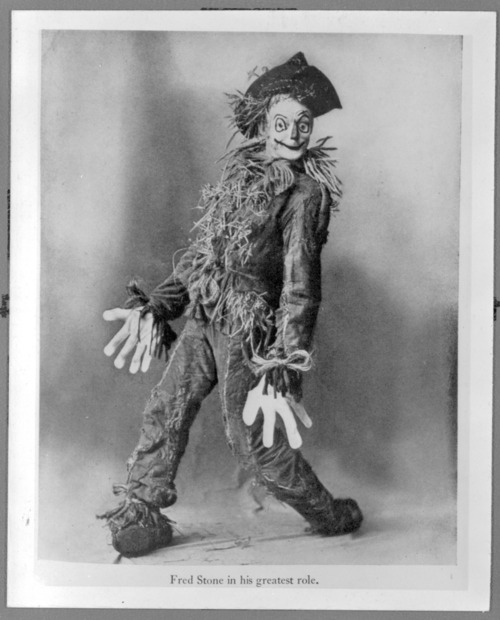 This is a photograph of Fred Stone as the Scarecrow in the Broadway show 'The Wizard of Oz', which is always associated with Kansas. He gained notoriety with this role and went on to become a popular actor on Broadway and in feature films. This photograph was copied from Fred Stone's autobiography Rolling Stone.